Preview: Beat mom brain and look like you have it all together (even if you don’t!). Are you always losing your keys and searching for your cell phone? Do you pick up pill bottles and can’t remember if you actually took the medicine or just thought about taking it? 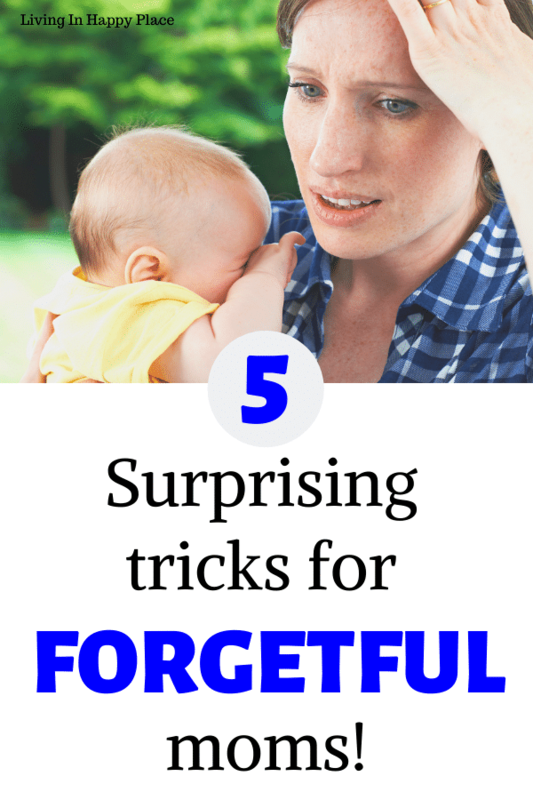 Are you a forgetful mom (like me!) who gets to the grocery store and forgets her list? You can beat mom brain and look like you have it all together (even if you feel like you don’t!). With these simple tricks, you can get out the door- on time- with everything you need. These tricks will save you time- and sanity! I used to be SUPER organized before I had kids. My family joked that my middle name was “Efficient” and people would always come to me to help “get things done”. Enter 3 kids in 4 years. I can’t believe how much information a mother’s mind can hold. I also can’t believe how easily the basics can just slip right out. Luckily, we aren’t crazy. Mom brain is a real thing. 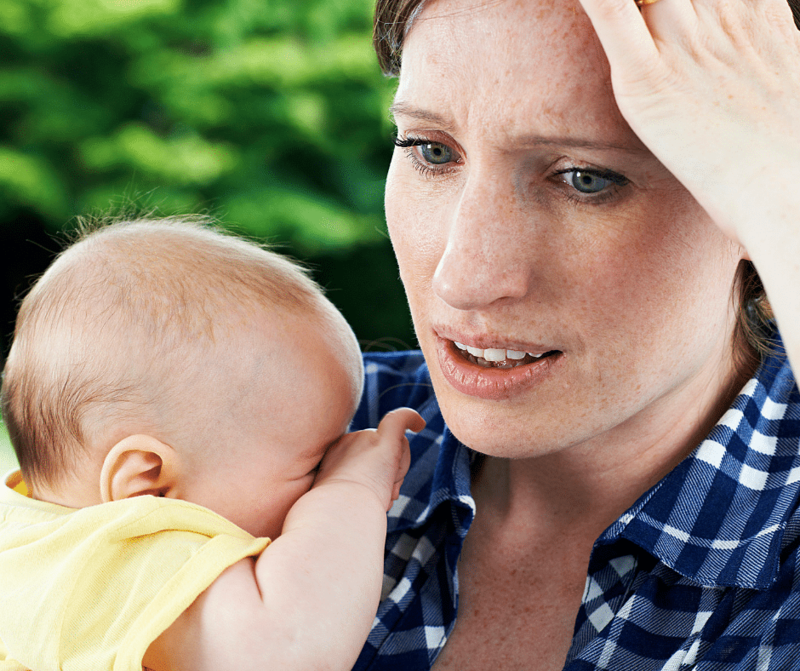 This study found that moms are more tired during the day due to sleep disruptions. 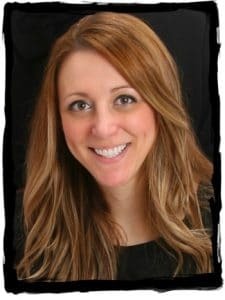 Another study proves that motherhood permanently alters our brains: “Our most recent research shows that previous motherhood alters cognition and neuroplasticity in response to hormone therapy, demonstrating that motherhood permanently alters the brain,” (source). Now that we know we have it, let’s figure out what to do about it. If you often lose your keys, can’t find your cell phone, or get to the store without your grocery list- well, don’t panic! These tricks will help you look like you’ve got it all together (even if you feel like a hot mess!). Tile is world’s best-selling Bluetooth tracker. It can find anything to attach it to- your keys, your phone, your purse, kids backpacks or favorite teddy bear- anything you lose. It is water resistant and last for 1 year with NO CHARGE (so you don’t have to worry about finding your charger ;)). It is small and super affordable. It is also compatible with Alexa and Google home so you can just tell your “assistant” to find your keys. And I know it works because I bought it for my sister. She loses her keys serval times a day (and I lose my phone just as many times, but we will get to that). 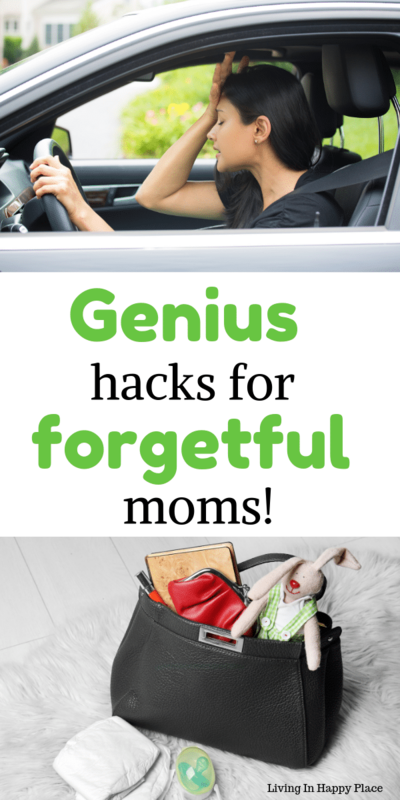 We are forgetful moms. We need and love Tile. Did I take my medicine or did I just think about taking my medicine? Please tell me I am not alone. It is simply a cap that adds-on to or replaces the cap on your medicine bottle from the pharmacy. It keeps a digital timer on top that tells you the last time the bottle was opened. This will help you know for sure when you last took your medication. This was a total lifesaver when I was overtired having a newborn who was up for night feedings, plus a toddler and preschooler too. The add-on timers will attach to ANY medicine bottle so you can put it on Advil or even on your kids’ medicine when they are sick. I do prefer the models that replace the cap completely because there is almost no chance of tampering. This version even has a built-in reminder alarm! 3. STOP PAYING FOR SUBSCRIPTIONS YOU FORGOT YOU HAD! Have you ever signed up for a free trial and FORGOT to cancel the subscription? Ugh. I recently discovered that I have an Audible account. Who knew?! I signed up for 30 days when we were listening to The Boxcar Children. That was 4 months ago. There is an app that tracks your subscriptions for you and reminds you when they are u for renewal! This could save you a lot of money month after month. Here is a great article from CNN that compares the different systems. It’s pretty thorough and the writer has used them all. Do you ever get to the store and realizing your grocery list is home on the counter? Immediately to start to rack your brain trying to remember what was on it. And you KNOW this is going to mean another trip to the store to get all of the things you forget. Take a picture of your (open) fridge, freezer, and pantry before you go to the store. You won’t need to guess whether you need milk or not! Write out your grocery list by department to help you remember everything while you are in the store. You can grab a free, printable grocery list by department below! This list will help you get out of the store faster with everything on your list. ~Tile (from the first tip above about your keys) works as a two-way system. You can use your phone to find your keys or your key FOB to find your phone. P.S. Don’t forget to take care of Mom! You need water, meals, and sleep. If you feel that you are having real problems with your memory, please speak with your doctor. This article is not meant as medical advice. This is mom life. It’s good to know that you aren’t crazy and you aren’t alone! Don’t let mom brain get the best of you! Wow! needed this article! Thank you for all the great tips–especially the one on taking and remembering the meds you’ve taken. So helpful! Thank you! I have timer caps on all my medicines or I would never remember if I took them or not! Great tips! I’m going to have to check out Prime Pantry for sure! Thanks for sharing!